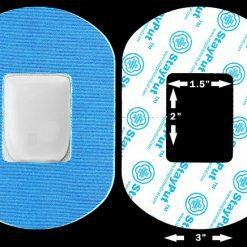 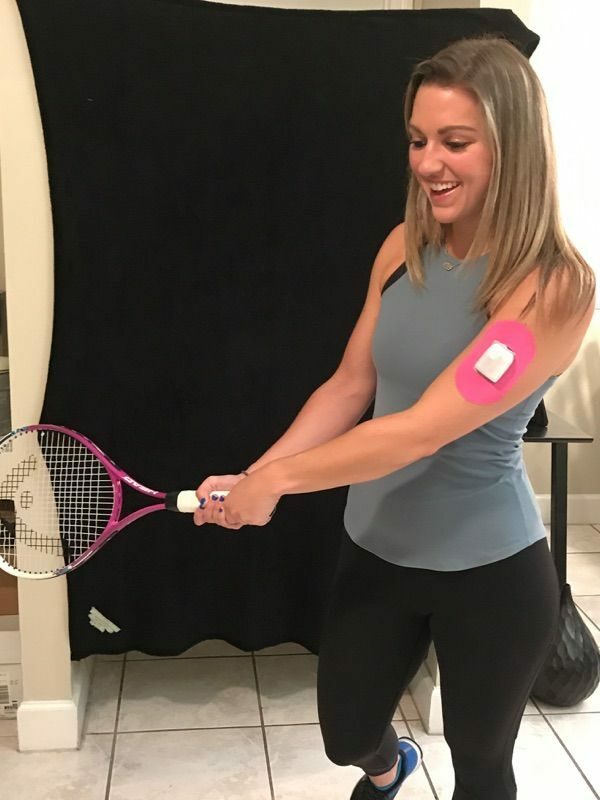 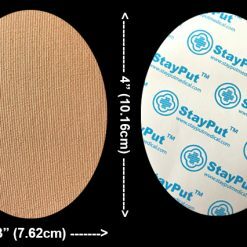 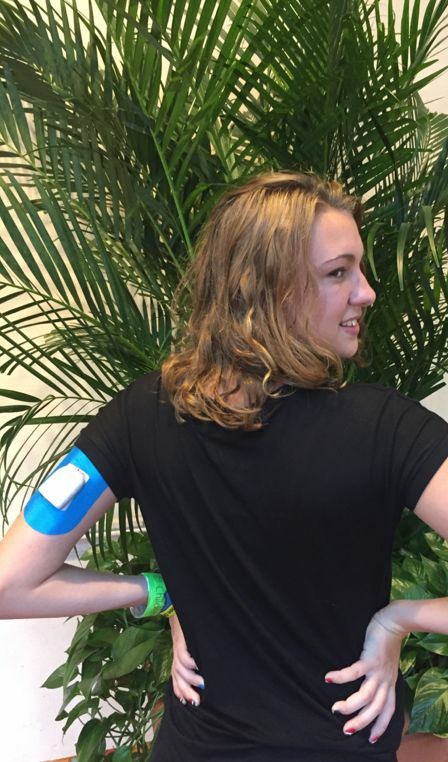 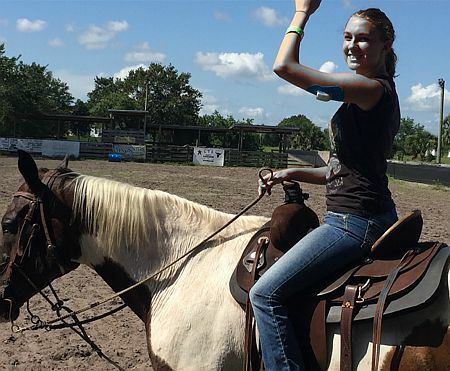 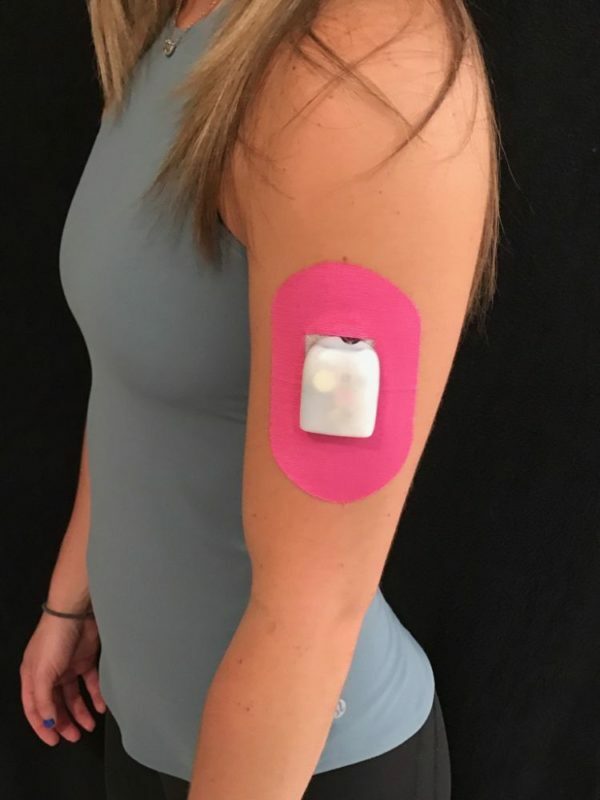 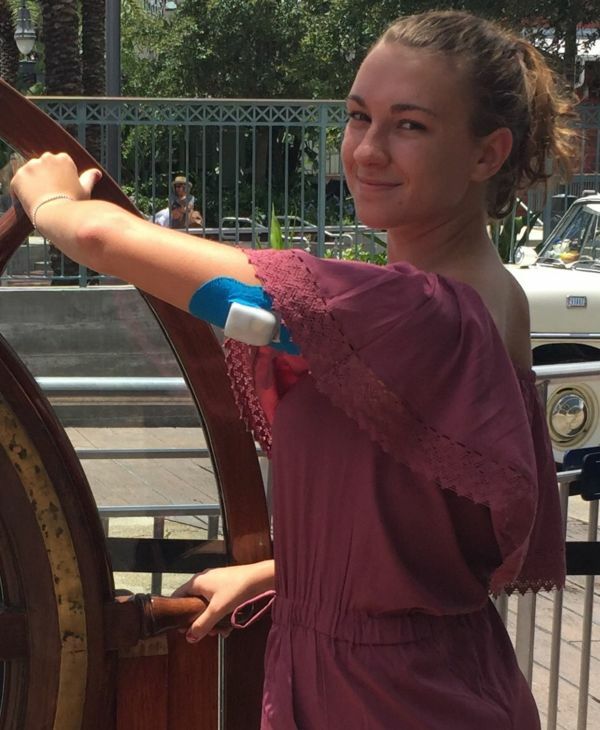 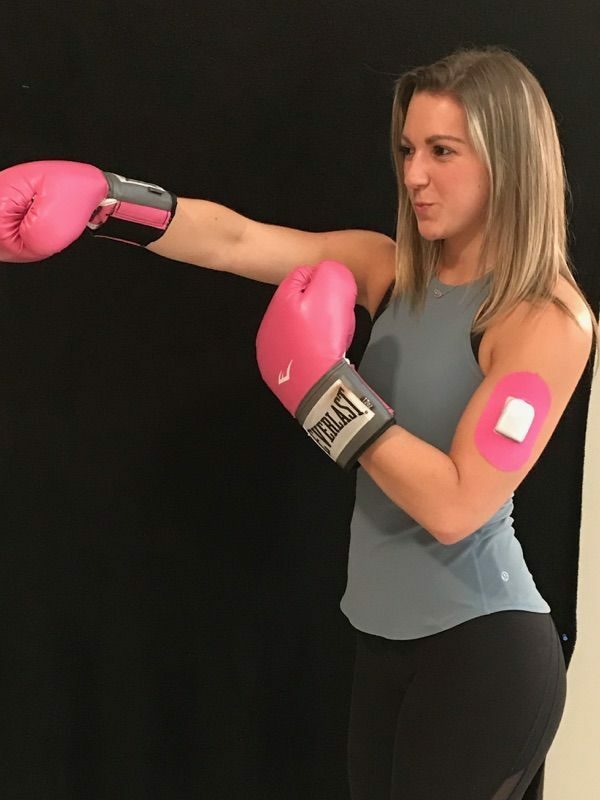 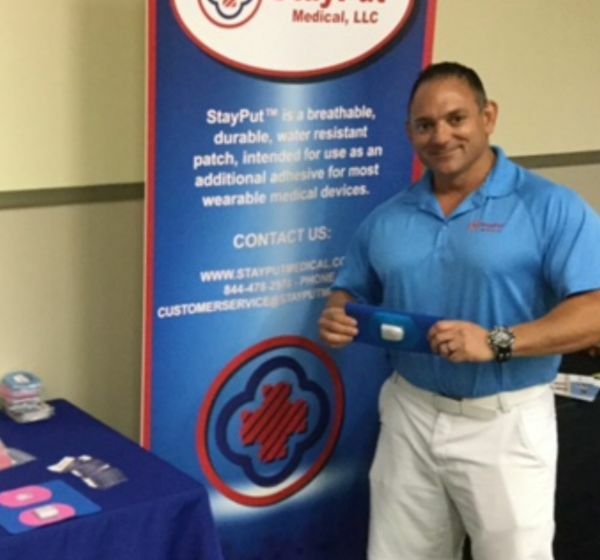 StayPut is a breathable, water resistant and patent pending product, intended for utilization as a “skin adhesive for wearable medical devices”. 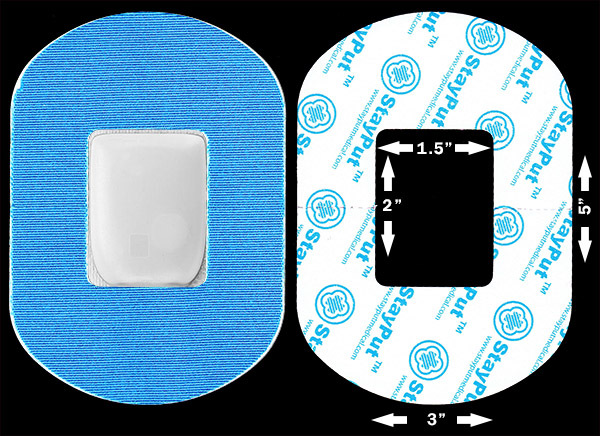 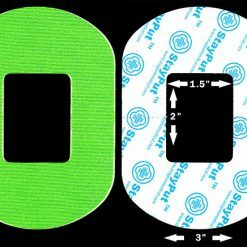 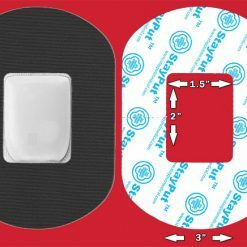 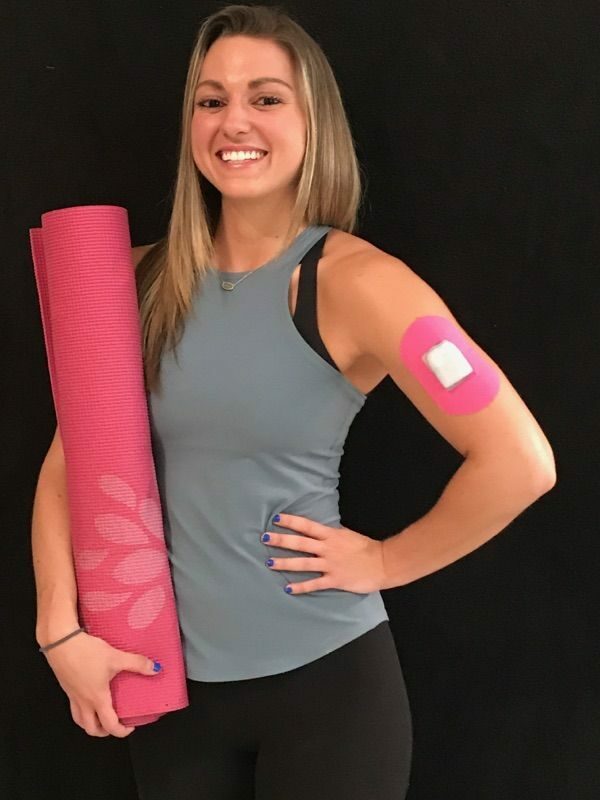 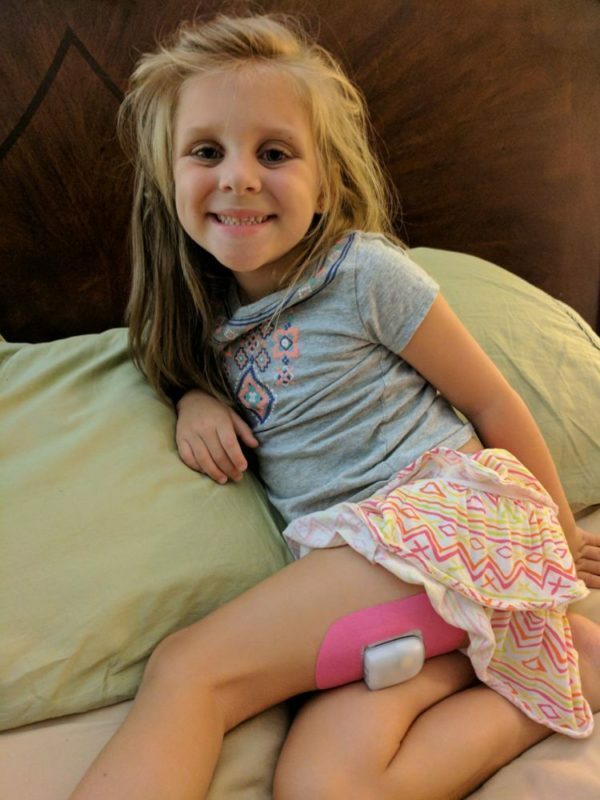 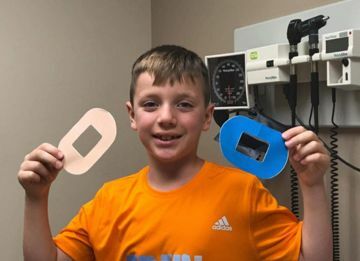 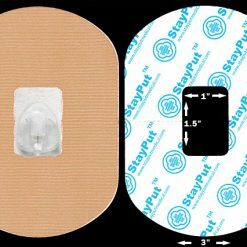 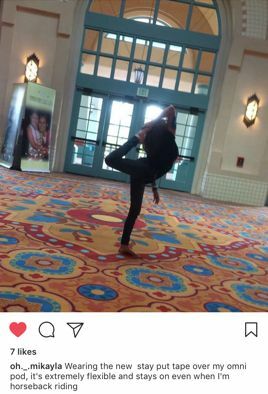 StayPut is an adhesive overlay with a pre-sized and pre-cut hole designed for clinical functionality, maximum device coverage and everyday durability It’s designed to ﬁt the lifestyle of today’s active adult and pediatric patients. 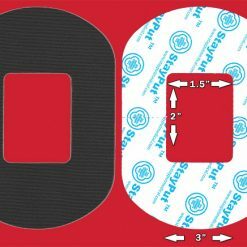 The cutout is 2″ long by 1.5″ wide. 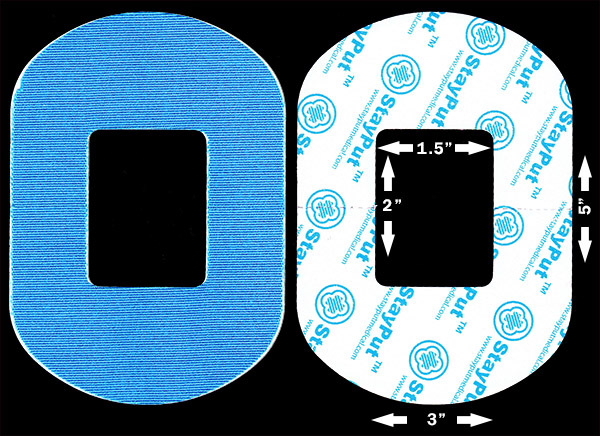 Measurements listed refer to the size of the cut out. 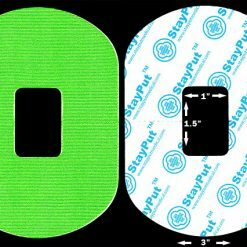 The actual size of the StayPut piece is 3”x5”, and can be easily trimmed to fit your individual needs. 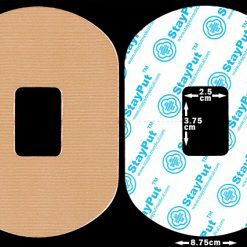 The patch is 12.5cm long by 8.75cm. 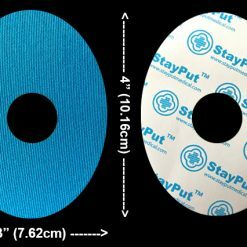 The hole is 5cm by 3.75cm.